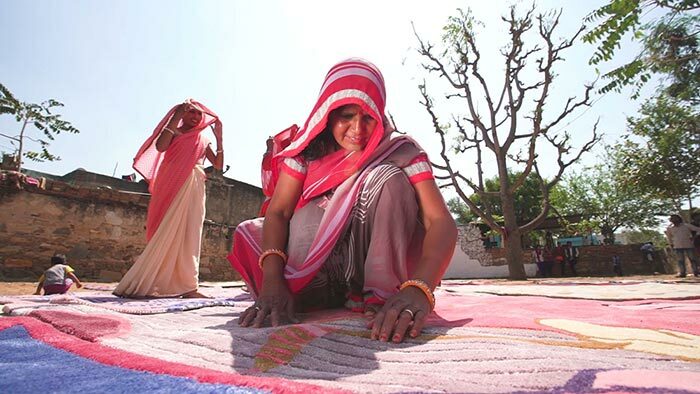 Take an eclectic experiential trip to Rajasthan through exquisite handmade rugs. Jaipur Rugs and Italian designer Matteo Cibic have collaborated on a vibrant collection of handcrafted rugs that are inspired by Cibic’s visit to Jaipur, Rajasthan. Cibic has imbued his creative universe with the peculiar architecture and colours of the city and taken inspiration from ancient paintings and the architectonic sundial to design this collection.The collection is named after Wunderkammer also known as cabinets of curiosities that came into existence in the mid-16th century in Europe. These room-like cabinets were repositories for all types of wondrous and exotic objects.The surreal carpets in this collection give you a peek at a new and contemporary India while helping in promoting a socially inclusive and sustainable business model. The collection, Jaipur Wunderkammer is inspired by the peculiar architecture and colors of the city of Jaipur. It is a tribute to all the things that make this city unique and uses rugs as a medium to bring to life its art and culture. The collection will make you fall in love with the subtle charisma of the 'pink city'.